#REST APIs are REST-in-Peace APIs. 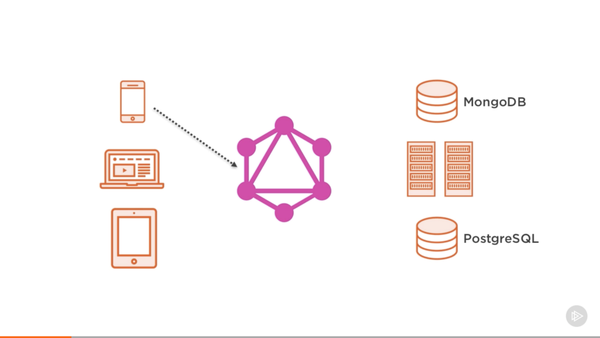 Long Live #GraphQL. With GraphQL, you can always fetch all the initial data required by a view with a single round-trip to the server. To do the same with a REST #API, we need to introduce unstructured parameters and conditions that are hard to manage and scale. The biggest problem with REST APIs is the nature of multiple endpoints. These require clients to do multiple round-trips to get their data. REST APIs are usually a collection of endpoints, where each endpoint represents a resource. So when a client needs data from multiple resources, it needs to perform multiple round-trips to a REST API to put together the data it needs. In a REST API, there is no client request language. Clients do not have control over what data the server will return. There is no language through which they can do so. More accurately, the language available for clients is very limited. A client can’t, for example, specify which fields to select for a record in that resource. That information is in the REST API service itself and the REST API service will always return all of the fields regardless of which ones the client actually needs. GraphQL’s term for this problem is over-fetching of information that’s not needed. It’s a waste of network and memory resources for both the client and server. Possibly the most important problem that we should be concerned about with GraphQL is the problem that’s commonly referred to as N+1 SQL queries. GraphQL query fields are designed to be stand-alone functions and resolving those fields with data from a database might result in a new database request per resolved field. For a simple RESTful API endpoint logic, it’s easy to analyze, detect, and solve N+1 issues by enhancing the constructed SQL queries. For GraphQL dynamically resolved fields, it’s not that simple. Fluid layouts have been a normal part of front-end development for years. The idea of fluid typography, however, is relatively new and has yet to be fully explored. Up until now, most developers’ idea of fluid typography is simply using Viewport units maybe with some minimum and maximum sizes. That’s called a trendline. 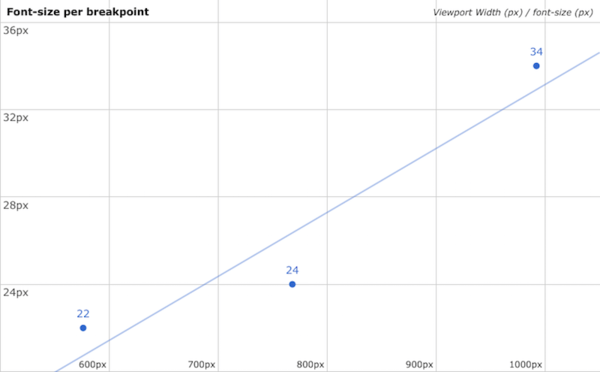 It’s a way to find an interpolated font-size value for any viewport width, based on the data provided. Ouais, alors bon, faut quand même un petit niveau de math !